Nestled in the foothills of Wailea, Wailea Ekolu village is an 18 acre garden oasis with clear views of the Pacific Ocean, Molokini crater and breeching humpback whales in the winter — from every unit. 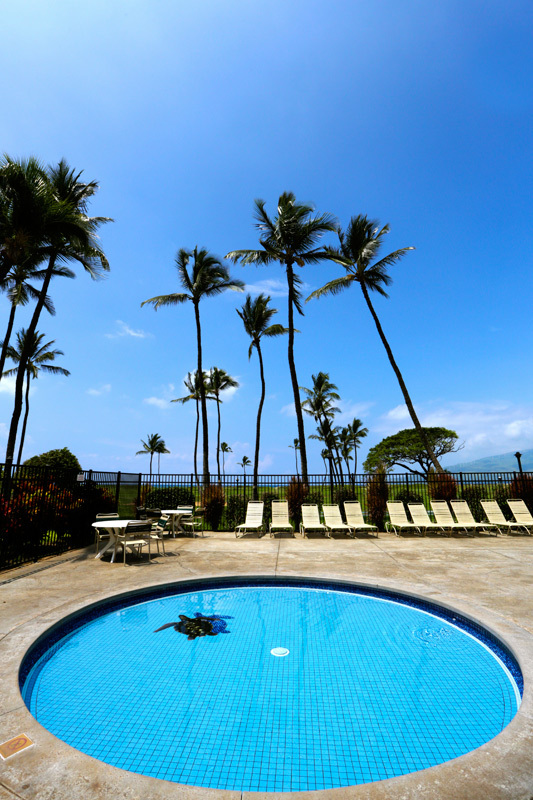 The Shops at Wailea and world-class beaches are a short stroll away. You can enjoy two solar-heated swimming pools on property, free parking, barbeque areas, air conditioning throughout and free wifi in the rooms. Wailea Ekolu has a relaxed residential vibe and tropical landscaping, making it an oasis for bliss and quiet. On site, enjoy two solar-heated pools, a recreation pavilion and barbecue areas. Nearby the property are the high-end restaurants, shopping and amenities that Wailea is known for, including golf courses and the Wailea Tennis Club (guests enjoy special rates), as well as the Shops at Wailea.